^ 1.0 1.1 1.2 1.3 Ray Sanders. Hubble Space Telescope detects fifth moon of Pluto. Phys.org. 11 July 2012 [11 July 2012]. ^ Names for New Pluto Moons Accepted by the IAU After Public Vote. 國際天文學聯合會. 2013年7月2日 [2013年7月3日] （英语）. ^ Pluto's Smallest Moons Receive Their Official Names. SETI協會. 2013年7月2日 [2013年7月3日]. （原始内容存档于2013年7月5日） （英语）. ^ Rob Preece. A cosmic discovery: Astronomers using NASA's Hubble Space Telescope find fifth moon orbiting Pluto. Daily Mail. 11 July 2012 [11 July 2012]. ^ Mike Wall. Hubble telescope spots fifth moon orbiting Pluto. Christian Science Monitor. 11 July 2012 [11 July 2012]. ^ NewsCenter - Hubble Discovers a Fifth Moon Orbiting Pluto (07/11/2012) - The Full Story. HubbleSite. [2012-07-12]. ^ BBC News - Hubble discovers new Pluto moon. Bbc.co.uk. [2012-07-12]. ^ Thomas H. Maugh II. Astronomers find fifth moon at Pluto. Los Angeles Times. 11 July 2012 [11 July 2012]. ^ Matson, J. 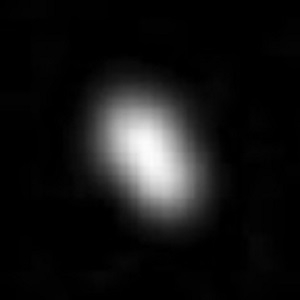 New Moon for Pluto: Hubble Telescope Spots a 5th Plutonian Satellite. Scientific American web site. 2012-07-11 [2012-07-12].